Today I was grateful I had gotten our lights out. 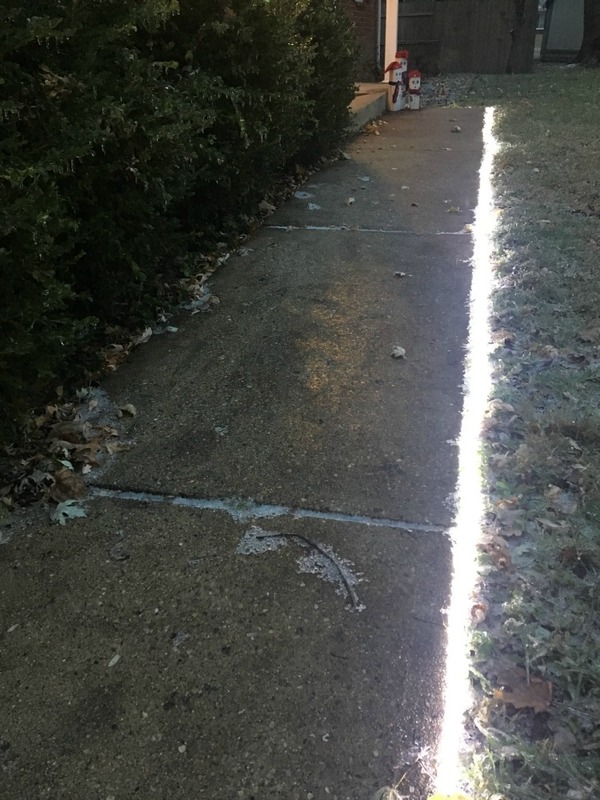 We may still have leaves all over the backyard, but our walkway is ready to welcome guests all winter long with the new rope lighting I got from 1000 Bulbs. We haven’t done a lot with lighting our outdoor space over the years. It’s been on my to-do list since we moved in, but until now just hasn’t gotten done. And it got done just in time too! When I first got the lights I wasn’t sure where we would put them. I tried a few different ideas, but after talking it over with Mark, we decided we really wanted to light the walkway. Our neighborhood is pretty dark without street lights, and with a long walk from the drive to the door, we wanted any guests to feel more welcome by lighting their way. So I laid out the lights and then had to get creative on how to attach them to the ground. 1000 Bulbs sends zip ties and house hooks, but nothing to work on the ground. Our tent broke this summer, but it is still sitting in the garage, so I pulled out the stakes. These I used to hold down the lights. So far they’re working like a charm. Once I added the snowmen to the end of the walkway, I knew for sure the rope lights were the perfect solution for our outdoor lighting conundrum. They really help welcome us home after a long day out. They will also ease my mind as our friends and family come and go over the holidays – and beyond – knowing they aren’t walking through the dark to get to their cars.